Yay it's here! I've revamped and relaunched my website https://www.peggyli.com and I can't wait for you to check it out! 1) New browsing and webpages optimized for your desktop screen and mobile shopping. 2) Awesome dropdown filters on the left and right of every category page. Search for items based on popular key words, new additions, price or bestsellers. 3) New user accounts - with the new website you have the opportunity to create a new user account. I will be keeping a secure historical record of past orders from my Yahoo store of the past 30 days of order history (no sensitive payment info is kept) for reference/refunds until the new site has gotten going. 4) Free shipping on orders over $150 for domestic orders! International orders get a discount on purchases over $150 as well. 5) A new blog! Even more focused posts about PLC and the style you've grown to love. 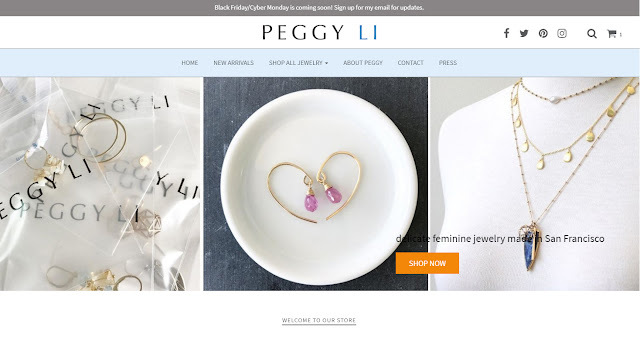 Read the new Peggy Li blog here. Leave your feedback and any questions you may have in the comments!